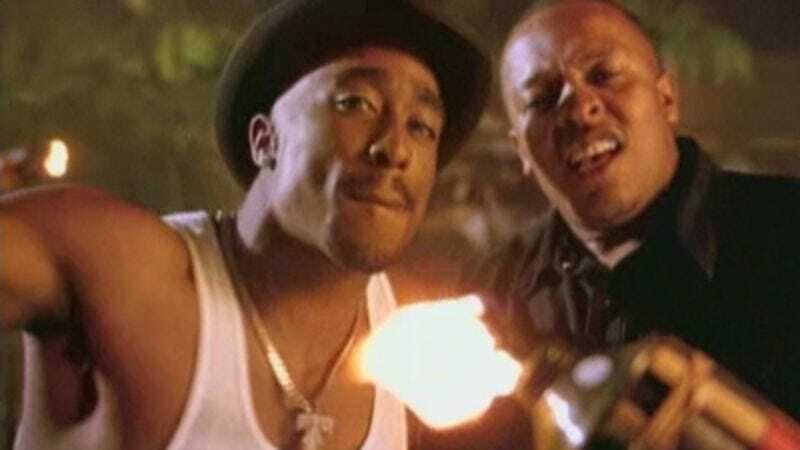 Lovers, Californians, and those with “ambitionz,” take notice: Tupac Shakur’s fedora from the non-apocalyptic version of “California Love” video is now up for auction. The item—which is currently owned by Motley Crue frontman Vince Neil’s ex-wife, Sharise, because Hollywood is a small, small place—is currently going for about $3300 with three days left on the sale. Billed as “possibly the finest peice [sic] of hip-hop memorabilia to ever hit the open market,” the Biltmore Imperial hat comes complete with a notarized letter of authenticity from Neil, as well as a ticket stub from a trip she took to Cabo San Lucas where she met Shakur, Suge Knight, and Snoop Dogg. That trip was mentioned in another Tupac song, “Heaven Ain’t Hard 2 Find,” which Neil believes is about her.